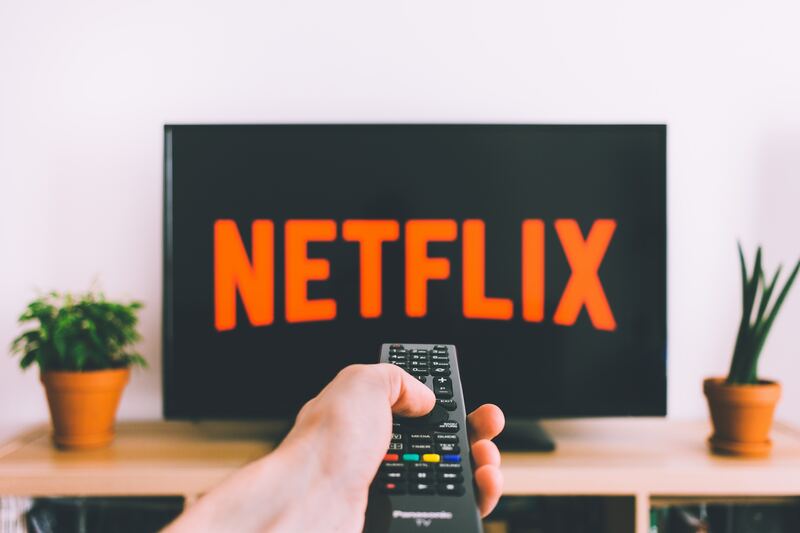 With tens of thousands of movies and television shows available on Netflix, Hulu and Amazon Prime Video, it can be difficult to find content that engages the Catholic imagination. America has compiled a list to help you find all the Catholic entertainment you’ve been looking for but didn’t know was there. This list of streaming movies and series contains side-splitting Catholic comedians, documentaries depicting holy people, serious films that reckon with the sexual abuse crisis, horror movies about exorcisms, shows about teenagers attending Catholic school, animated movies for children and more. Disclaimer: Not all the content listed here takes its Catholic themes as seriously as others. First Reformed A minister at First Reformed church faces isolation after the death of his son and tries to find solace in the theology of Thomas Merton and G.K. Chesterton. Watch on Amazon Prime Video. Little Sister Colleen is training to become a Catholic nun. She has her faith tested when she returns home to visit her brother, a veteran traumatized by the Iraq war. Watch on Netflix. The Man in the Iron Mask (1998) During the reign of King Louis XIV of France, a musketeer is instructed to track down and kill the leader of the Jesuits. Watch on Amazon Prime Video. Jane the Virgin Jane has been accidentally artificially inseminated, hilarity ensues in this telenovela-styled dramedy. Keep an eye out for Jane’s abuela praying the rosary and the Catholic sisters selling merch for this “miracle” pregnancy. Watch on Netflix. American Vandal: Season 2 The second installment of this true-crime parody investigates laxative-tainted lemonade at a Catholic high school. Watch on Netflix. The Good Place Eleanor was not a good person, but can she improve herself after death? Watch on Netflix and Hulu. The Borgias This series follows the Borgia family’s entanglements in the Vatican and beyond during the Renaissance. Watch on Netflix. Call Me Francis This TV miniseries shares Pope Francis’s life story, from his youth in Argentina to his early papacy. Watch on Netflix. Pope Francis: A Man of His Word This documentary follows Pope Francis’s papacy. Watch on Netflix. The Francis Effect This documentary looks closely at how Pope Francis is changing the church and the world. Watch on Netflix. The Exorcist This classic 1973 movie, inspired by real events, still haunts viewers today. Watch on Hulu. The Rite A priest attends exorcism training at the Vatican and faces his demons, literally. Watch on Netflix. Hostage to the Devil A priest illicitly performs exorcisms. Watch on Netflix. The Keepers This Netflix original is a true-crime documentary that explores the mysterious and tragic murder of a religious sister in Baltimore nearly five decades ago. Watch on Netflix. The Boys of St. Vincent Based on real events, this drama depicts the road from abuse to discovery and escape for the young residents of a Roman Catholic orphanage in Canada. Watch on Amazon Prime Video. Twist of Faith This documentary shares the story of Tony Comes, an adult seeking closure for the abuse he experienced as a child. Watch on Amazon Prime Video. Footprints: the Path of Your Life Ten young men and a Catholic priest walk the Camino de Santiago. Watch on Netflix. Saints and Sinners: The History of the Popes This six part series looks at the legacy of the popes from Peter to John Paul II. Watch on Amazon Prime Video. Liberating a Continent: John Paul II and the fall of Communism This is biographical documentary focuses on St. John Paul II’s role in resisting Communism in Poland and later as pope. Watch on Netflix. Lady Bird Christine “Lady Bird” McPherson challenges the status quo at her all girls Catholic high school— and in her own home. Watch on Amazon Prime Video. Funeral Kings For altar boys Andy and Charlie, every funeral is an excuse to play hooky. Eventually, they find themselves in real trouble. Watch on Amazon Prime Video. Derry Girls Set in Ireland during the 1990s, the biggest troubles for 16-year-old Erin Quinn and her friends are avoiding exams, making some cash and trying to be cool. Watch on Netflix. Romero This biopic, featuring Raúl Juliá, depicts Archbishop Óscar Romero’s struggle for justice in El Salvador. Watch on Amazon Prime Video. Juana Ines This Netflix original series gives new life to the story of a 17th century Catholic sister and her contributions to literature. Watch on Netflix. Entertaining Angels: The Dorothy Day Story From her less-saintly days to the founding of the Catholic Worker, this movie depicts the life of Servant of God Dorothy Day—starring Moira Kelly and Martin Sheen. Watch on Amazon Prime Video. The Jewish Cardinal Jean-Marie Lustiger was a Catholic cardinal of Jewish heritage. He boldly opposed and protested the construction of a convent on the grounds of Auschwitz. Watch on Amazon Prime Video. Veggie Tales This Sunday school classic is great for kids of all ages. Watch on Netflix. The Prince of Egypt This musical adaptation from Dreamworks tells the story of Moses from Exodus. Watch on Hulu. Joseph: King of Dreams Another biblical adaptation from Dreamworks, this movie musical follows the story of Joseph from Genesis. Watch on Netflix. Jim Gaffigan There are many stand up routines to stream from this beloved Catholic comedian (and guest on Faith in Focus with Jim Martin). Watch Cinco, Mr. Universe, Beyond the Pale, Obsessed and King Baby on Netflix. Watch Noble Ape on Amazon Prime Video. Holy Goalies A group of monks form a soccer to team to win money and save their monastery. Watch on Netflix. Kathleen Madigan From an Irish Catholic family this comedian knows how to joke about Jesus. Watch Bothering Jesus on Netflix. Watch Gone Madigan on Amazon Prime Video. Watch Madigan Again on Netflix or Amazon Prime Video. The Little Hours Three less-than-perfect nuns living in a medieval convent take in a runaway, debauchery ensues. Watch on Netflix. Henry Poole is Here would also be a good Catholic film to watch. Jane the Virgin is missing from this list. I find the idea of a modern Virgin Mary very smart and refreshing! Are any of these shows any good? I've watched Amar, Akbar and Tony, a season of The Churchmen, and most of the one season of One Day at a Time. At the beginning I had hope but as I watched all of them I was mostly disappointed because they tended to make fun of Catholicism, ignore it, or portray it as something overly bureaucratic. Where is the beauty, goodness, and truth? I'd respectfully suggest that "Daredevil," featuring the very Catholic Matthew Murdock would be a worthy inclusion in this list.